Kopaonik is the most popular winter tourist attraction in Serbia. It is a beautiful Mountain with a number of chances to tryout many winter sports. 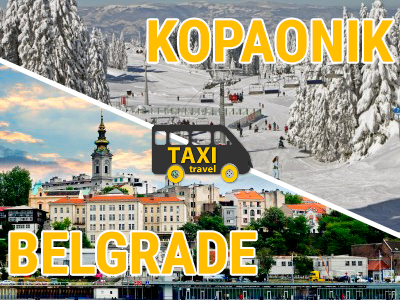 During the season, besides the regular Bus drives to and from Kopaonik we offer you more comfortable,depedable,safer and faster way to travel to your favourite moutain. The trip lasts somewere around 4 hours, depending on the road and weather conditions. The most of the route is freeway, where we get off go twards Kruševac, than Brus and Brzeće. The price of the ticket is 20 euros per person.